With the start to the much-awaited Ryder Cup in under three weeks, Tiger Woods has made a big prediction on the potential of Rory McIlroy’s game. Woods and Mcllroy will be fierce rivals in Versailles but it did not stop the pair getting together for a 9-hole practice round last Tuesday in the now seriously rain-affected BMW Championship in suburban Philadelphia and Woods said he saw enough in the nine holes, and also knowing McIlroy’s game well, to suggest the four-time major winner’s dry run could end in a saturated ‘City of Brotherly Love’. 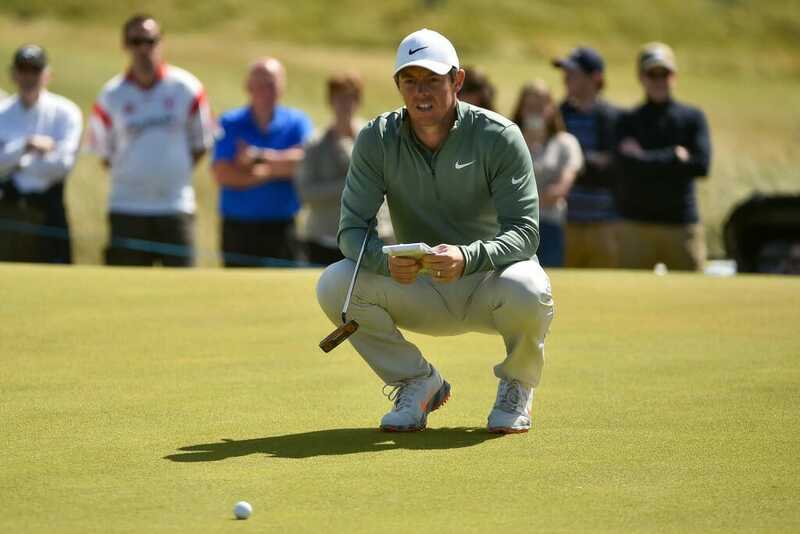 Weather permitting, we will know lunchtime Monday (US time) if McIlroy can pull off a second Tour victory this year after steady rain Sunday forced Tour officials at 2pm local time to abandon any thoughts of starting the final round. When play does resume Justin Rose takes a one-shot lead at 17-under par into the day, looking not only to win only to win in Philadelphia for a third time in his career but also go to World No. 1. McIlroy is tied with Xander Schauffele on 16-under with the American seeking a win that would undoutedly hand him the last USA Team ‘wildcard’ pick, with that announcement which was due at 9am local time Monday now on hold. Woods is just five back of Rose and, while looking to end his own five-year winless streak, he was praiseworthy of McIlroy’s game but called also for understanding. “I hear he went out in the Pro-Am and birdied seven holes in succession and then he and I both shot 62s on Thursday so it is not all that bad. And if all clicks for McIlroy in suburban Versailles, Woods can see his European Team rival being a dominating bright light as Europe seeks to regain the Ryder Cup. “I know how much the Ryder Cup means to him, as it does to all of us including myself, so look he’ll be alright, with the Ryder Cup again sure to bring out the best in his game,” he said.